An exciting literary project for the Cairngorms National Park is set to come to life in the New Year with funding support from Creative Scotland. Anyone can get involved in the various aspects of the 12 month initiative with people encouraged to put pen to paper to share and explore the ways in which people and nature thrive together in the Park. 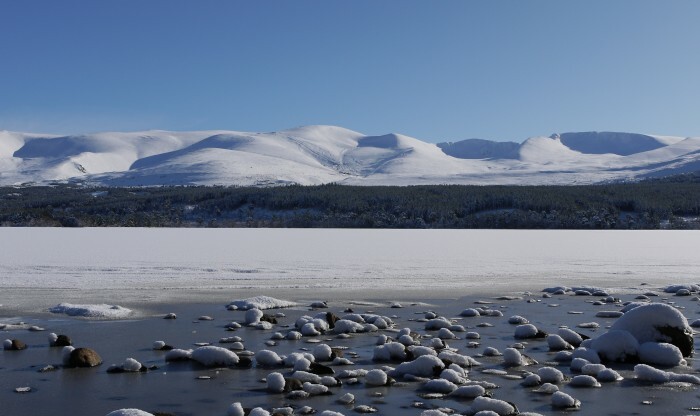 ‘Shared Stories: A Year in the Cairngorms’ has been organised – and part funded – by the Cairngorms National Park Authority with a funding award of £8,000 from Creative Scotland and £10,000 from the Woodland Trust. The financial support from partners has allowed the project to appoint the first ever Writer in Residence for the Cairngorms National Park, Merryn Glover from Kincraig. Merryn is an award-winning writer of fiction, drama and poetry with a published novel and stories and plays broadcast on BBC radio. Also a qualified English and Drama teacher, she has extensive experience of community arts. For the ‘Shared Stories’ project, she will be leading creative writing workshops and other events as well as working on her own writing around people, nature and a sense of place. Working with the Health Walks groups, ranger services and land based workers through targeted workshops as well as open events and one off specials at the likes of the Cairngorms Nature Big Weekend, the project is set to gather a range of creative and imaginative writings which will provide a legacy for the initiative. There will be lots more information on ‘Shared Stories: A Year in the Cairngorms’ published in the New Year telling people how they can get involved.